Plans to convert Auckland’s Civic Administration Building into apartments are causing a stir over how to keep the original features of the Category A historic building. Developer John Love and heritage experts are grappling with replacing the facade of the city’s first skyscraper, regarded as a fine example of modernist architecture. Groups like Heritage New Zealand, Auckland’s Character Coalition and the Civic Trust want to keep as much of the original facade as possible. 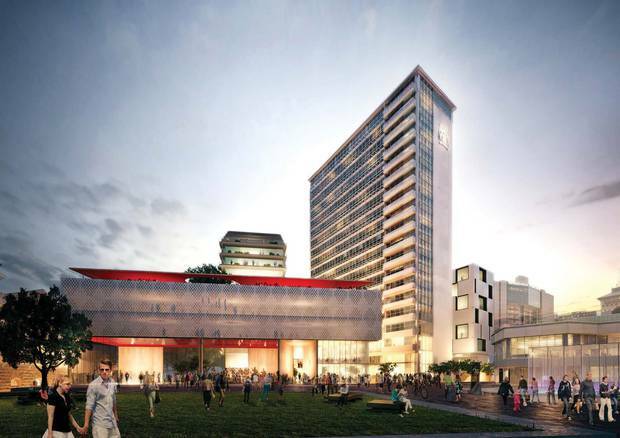 To see NZ Herald article discussing the proposed development click here.